UNESCO designated Sri Lanka’s central highlands a World Heritage Site for their outstanding beauty. 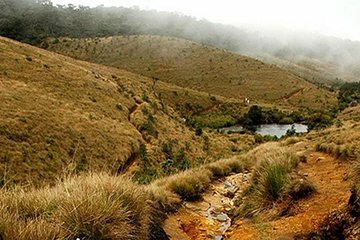 Experience some of their most dramatic landscapes on this door-to-door private guided tour of Horton Plains National Park and the vertiginous World’s End cliffs. Look out for birds, lizards, bear monkey, and sambar deer as you hike 6 miles (9.5 kilometers) to World’s End, Baker’s Falls, and back to base. Please note: Tour excludes entrance fees.